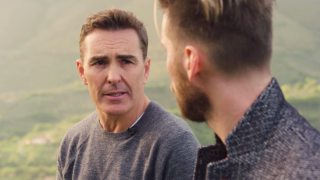 Nolan North and Troy Baker aren't brothers, but they play them on TV. Or at least, they do when your TV is turned on, set to your PS4's input, and you're playing Uncharted 4. Still, you could've fooled me. The way these two veterans of the video game industry talk to one another, you'd think they really were related - and thankfully, that sort of connection makes for one hell of a fascinating interview. You might remember the teaser of this interview that PlayStation posted last week, but that was apparently a bit of a red herring. While the full-length video still begins with Baker telling North that he's not actually Drake (and North subsequently threatening to "open up" Baker), it soon progresses into a serious conversation about how the two came to be involved in the franchise and their thoughts 10 years later. It's cute. Brothers connect with each other in a special way, you know?